The Vice Chairman of the Joint Chiefs of Staff said the Defense Department is working through the problems of future robotic weapon systems – so-called thinking weapons. “We’re not talking about cruise missiles or mines,” but “robotic systems to do lethal harm… a Terminator without a conscience,” a reference to the 1984 science fiction film, Air Force Gen. Paul Selva said in a Thursday presentation at the Center for Strategic and International Studies on innovation in the Defense Department. “Our job is to defeat the enemy,” he said answering a question about autonomous weapons and artificial intelligence in warfare. But “it is governed by law and by convention,” Selva said. “That ethical boundary is the one we’ve draw a pretty fine line on. It’s one we must consider in developing these new weapons,” he said. 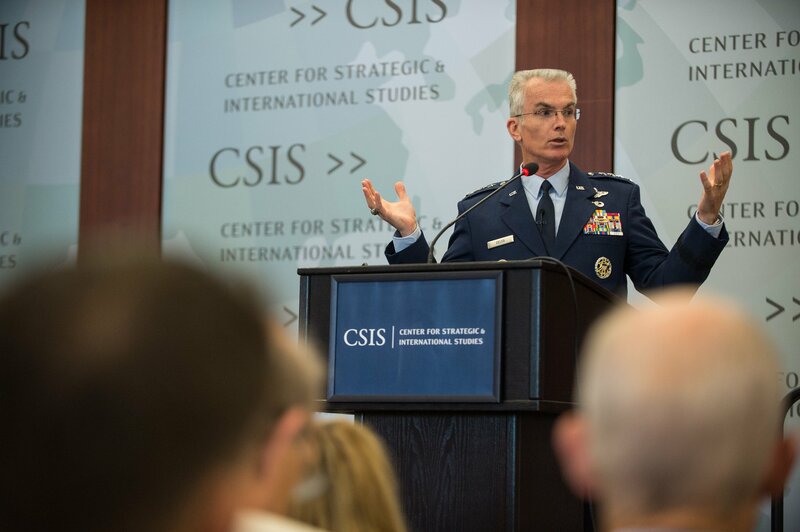 This understanding of the possibilities of technologies and man-machine interface, as well as encouraging the asking of questions of how to do things better is critical to innovation in the defense, Selva said. What has changed in the past 20 years is where funds for basic science and research come from, he said. It has flipped from being 90 percent government funded to about 90 percent funded by the private sector, private laboratories or universities. Selva said that to keep pace with the rapid changes in technology the Pentagon has to be “reaching out to companies not seeing themselves as military-oriented” and see where they can partner in areas such as command and control and developing leadership models. As for relations with Capitol Hill on paying for innovation, he said, “We’re not venture capitalists” in the strict definition of the phrase. “We are literally trying to triage … where that concept will pay off” and win approval to spend in those areas knowing there is a risk of failure involved. Referring back to his early days as a student aviator, Selva said he understands the balancing of risk and mission when the fledgling pilot must fly solo after 10 hours of instructor in the cockpit training. “None of them are big bets,” he said in explaining the host of promising projects that could go forward. The ones that work move on; those that don’t are shelved.